New York, NY – A campaign launching today is holding BlackRock accountable as the single largest contributor to climate destruction. The campaign, BlackRock's Big Problem, asserts that as the world's biggest owner of fossil fuel companies, BlackRock is putting the planet on a path towards runaway climate change. The campaign launches as world leaders in climate policy, solutions and finance gather in New York for Climate Week. 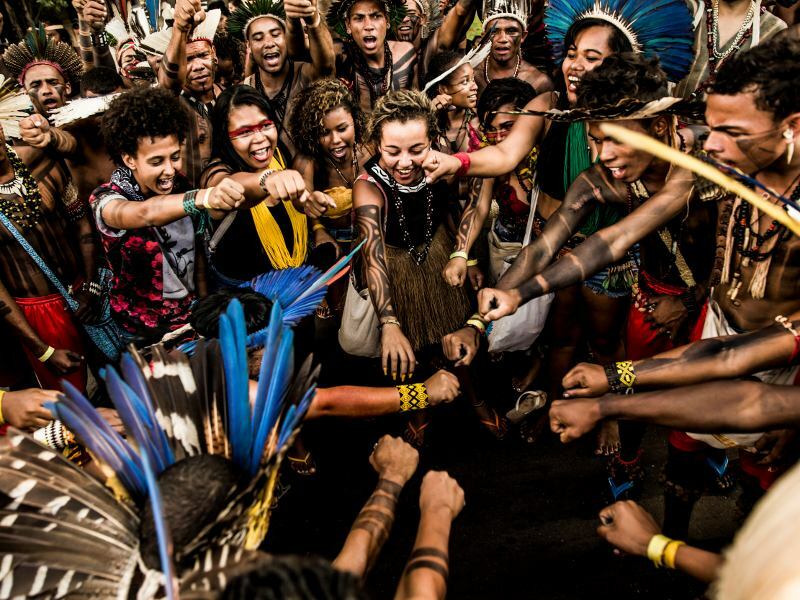 Oakland, CA – A hard-hitting report published today unmasks key Brazilian political actors behind an ongoing assault on the Amazon rainforest and exposes the global corporate and financial entities that support them. The report from Amazon Watch reveals how the supply chains of leading brand names like Coca-Cola, and the portfolios of asset managers such as BlackRock, finance the political agenda of a powerful congressional bloc whose actions imperil the world's largest rainforest, indigenous rights, and global climate stability. San Francisco, CA – On day three of the Solidarity to Solutions Week countering the upcoming Global Action Climate Summit, frontline leaders hosted a rally and delivered an open letter rejecting the Governor's Climate and Forest Task Force and demanding its cancellation. 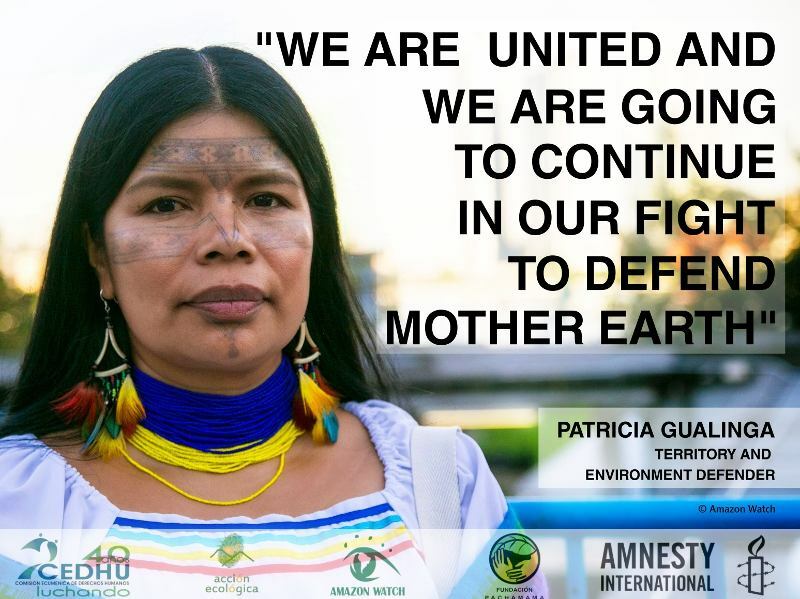 Quito, Ecuador – Today, International Day of the World’s Indigenous Peoples, an international coalition launched a campaign calling on Ecuadorian President Lenin Moreno to implement three policies to protect Earth Defenders – those who dedicate their lives to protecting human rights and nature, many of whom are indigenous leaders. 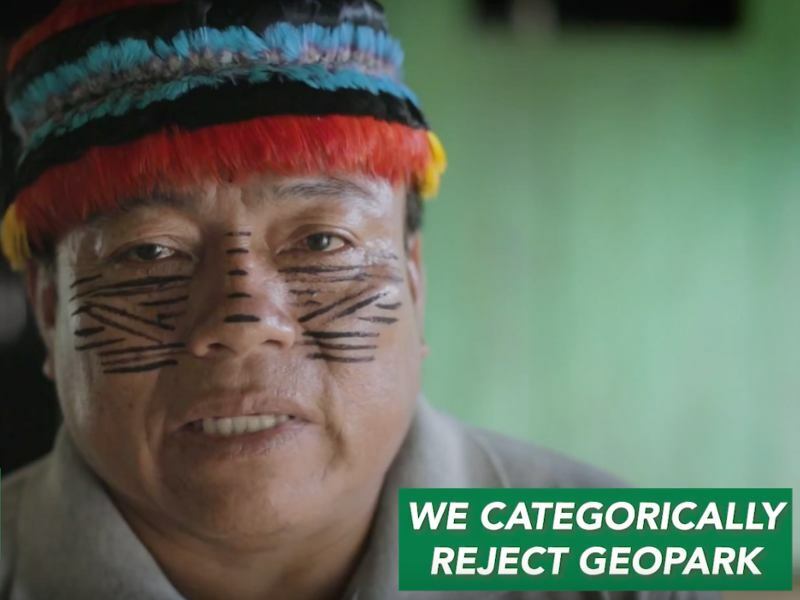 The authorities of the communities of the Wampis Nation, found within the Morona district of the Loreto region, would like to address public opinion to express our rejection of the oil company GeoPark's entry into oil concession Block 64. Quito, Ecuador – Environmentalists occupied the lobby of Ecuador's Environmental Ministry on Tuesday to protest a pending environmental license that would open the Ishpingo oil field inside the world-renowned Yasuní National Park.